Seddon, N., Turner, B., Berry, P., Chausson, A., Girardin, C.A.J. (2019) Why Nature-Based Solutions to Climate Change Must Be Grounded in Sound Biodiversity Science. Nature Climate Change 9:84–87. Girardin, C. A. J., Malhi Y., et al. (2016), Seasonal trends of Amazonian rainforest phenology, net primary productivity, and carbon allocation, Global Biogeochem. Cycles, 30, 700–715, DOI:10.1002/2015GB005270. Supplementary Information. Doughty, C.E., Metcalfe, D.B., Girardin, C.A.J., Amezquita, F.F., Durand, L., Huaraca Huasco, W., Silva-Espejo, J.E., Araujo-Murakami, A., da Costa, M.C., da Costa, A.C.L., Rocha, W., Meir, P., Galbraith, D. and Malhi, Y. (2015) Source and sink carbon dynamics and carbon allocation in the Amazon basin. Global Biogeochemical Cycles. Malhi Y., C.E., Doughty, G. R. Goldsmith, D. B. Metcalfe, C. A. J. Girardin, T. R. Marthews, J. del Aguila-Pasquel, L. E. O. C. Aragão, A. Araujo-Murakami, P. Brando, A. C. L. da Costa, J. E. Silva-Espejo, F. Farfán Amézquita, D. R. Galbraith, C. A. Quesada, W. Rocha, N. Salinas-Revilla, D. Silvério, P. Meir and O. L. Phillips (2015) The linkages between photosynthesis, productivity, growth and biomass in lowland Amazonian forests. Global Change Biology, DOI: 10.1111/gcb.12859. Supplementary Information. Rapp, J.M., Silman, M.R., Clark, J.M., Girardin, C.A.J., Galiano, D., Trro, R., Intra- and interspecific tree growth across a long altitudinal gradientin the Peruvian Andes, Ecology, 93(9), 2061–2072, 2012. Marthews, T.R., Malhi, Y., Girardin, C.A.J., Silva-Espejo, J.E., Aragão, L.E.O.C., Metcalfe, D.B., Rapp, J.M., Mercado, J.M., Fisher, R.A., Galbraith, D.R., Fisher, J.B., Salinas-Revilla, N., Friend, A.D., Restrepo-Coupe, N., and Williams R.J. 2012. 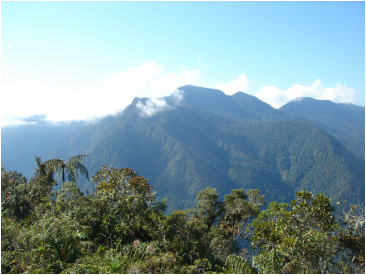 ﻿Simulating forest productivity along a neotropical elevational transect: temperature variation and carbon use efficiency﻿. Global Change Biology. 18:2882-2898, 2012. Girardin, C.A.J., Malhi, Y., Aragão, L.E.O.C., Salinas, N., et al. Net primary productivity patterns from Andes to Amazon, Global Change Biology, 16, 3176-3192, 2010. Palin O.F., Eggleton P., Malhi Y., Girardin C.A.J., et al. Termite Diversity along an Amazon-Andes Elevational Gradient, Biotropica, 43(1), 100-107, 2010. Malhi, Y., Saatchi, S., Girardin, C.A.J., Aragão, L. E.O.C. Carbon Storage and Flow in Amazonian Forests, Large-Scale Atmosphere Biosphere Proceedings, 2008. Regulatory treatment of Carbon Capture and Storage in different jurisdictions, International Energy Agency GHG R&D Programme, 2005. Greenhouse Gas Emissions Trading Simulation 4 (GETS4) for Eurelectric, 2004, scenario modeling of the international emissions trading market under different post-2012 “beyond Kyoto” scenarios. Recommendations to the European Commission on Monitoring and Reporting of Carbon Capture and Storage under the EU ETS, for UK Department of Trade and Industry, 2004. World Bank Guidelines for CDM Projects in China. Guidelines for project developers in waste to energy projects in China, 2004.